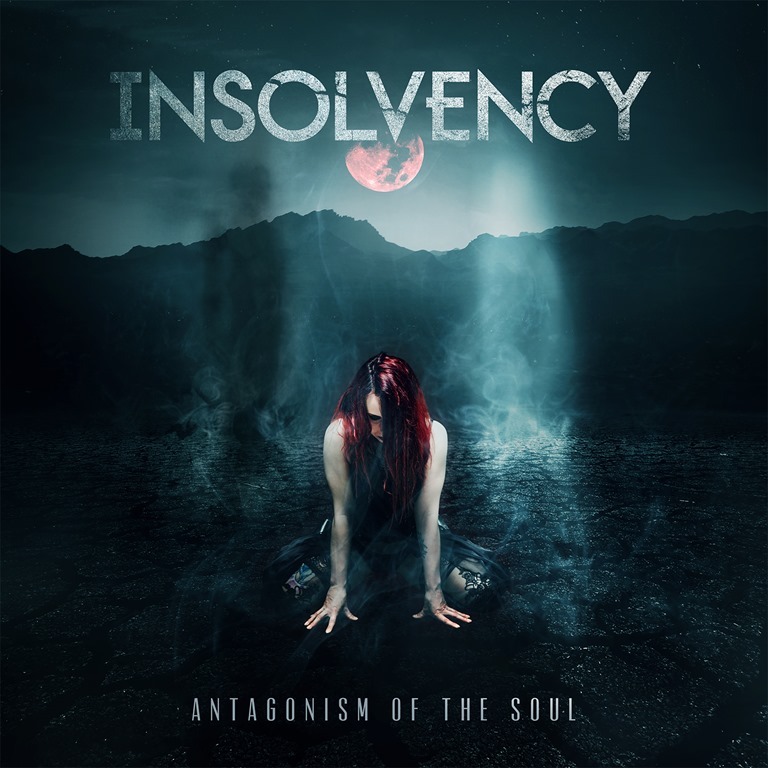 Antagonism Of The Soul represents the culmination of five years of work or French metal act Insolvency (a name that’s more suggestive of a punk band, perhaps, although it’s clearly been no hindrance to their connecting with an audience on their home turf). If the instrumental intro track, with its cinematic strings, rolling piano and brooding atmospherics, all woven together to form a mellifluous melody is a shade cliché, it sets a degree of expectation for the album as a whole. Insolvency’s style is centred around contrast and juxtaposition and the uptempo. The clean / guttural vocal interactions which define the sound is matched by driving, distorted rhythm guitar chug and soaring, melodic and highly technical lead work. There’s a lot of technical proficiency on display here, as it happens: the rapidfire drumming is dynamic and intense, and there are tempo changes galore, meaning the songs feel as if they’re in constant transition. So, while the elements are commonplace, the execution and the delivery are far from it. Insolvency pack an awful lot into each of the five-minute segments, and these miniature epics are finely honed, and the production does them justice: it’s polished, but not so overly slick as to sand off the edges. It’s crisp, but still has bite, and balances aggression and emotional resonance. There are hooks and some epic choruses, but they’re never overplayed, and for all of the heavy metal thunder, there are elements of prog and atmospheric post-rock in the mix. It all equates to an album with depth and range.